All cancellations must be called in the day before your rental. We do our best to accommodate all customers in times of unforeseen weather and/or emergency conditions. For this reason, we keep a close eye on the weather in and around the area. We also ask the customer to do the same. There may be times where it is raining in one part of our service area but not the others. For this reason, WE DO NOT CANCEL DUE TO WEATHER unless we feel it would endanger our equipment and the customers using it. 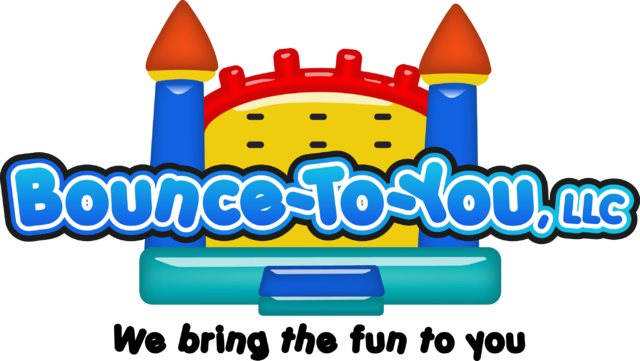 This is a joint decision between the customer and Bounce To You, LLC. We do everything in our power to deliver our units but we will err on the side of caution and reserve the right to make the final decision. Please feel free to call us at 919-444-3610 if you have any questions regarding our policies. Customer should call the office by 6:00pm the day before their rental to confirm their scheduled delivery time. In order for all customers to be delivered on time, we occasionally deliver several hours early or even the night before. The customer is responsible for notifying the office between 6-8AM or before the driver delivers on the day of their rental if they need to cancel. Once the equipment is delivered, the full amount is due regardless of total time used. All decisions to cancel due to weather need to be made before the scheduled delivery time, even if the equipment is delivered early. We ask that the customer be informed of all weather conditions approaching by watching or listening to their local news. All orders require a 25% deposit. If you cancel your booking you will receive a rain-check for your deposit that is good for up to one year towards your next rental. We do not refund deposits because the chances of renting the equipment to someone else is greatly reduced after it has been reserved on the website. There may be special circumstances where we do not require a deposit. Please call the office to inquire.